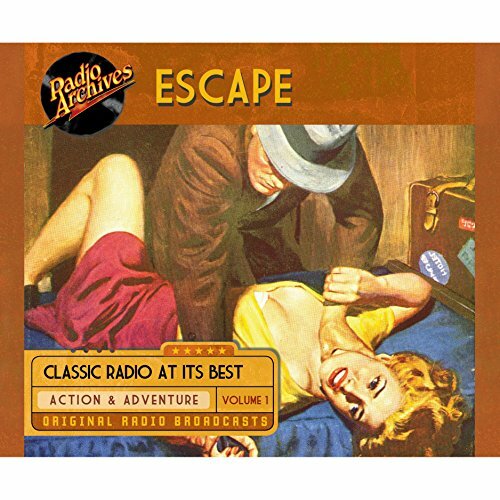 Escape never received the lavish attention afforded to Suspense, but from July 7, 1947 to September 25, 1954, it managed to transcend its mostly network-sustained origins and provide top-quality entertainment. Occasionally, a celebrity would appear in a leading role - Victor Mature, Edmond O'Brien, Vincent Price - but for the most part Escape relied on the tried-and-true veterans of "Radio Row", outstanding performers like Elliott Lewis, Jeanette Nolan, Jack Webb, Lillian Buyeff, Hans Conried, Vivi Janiss, Harry Bartell, and Georgia Ellis, to name just a few. Distinguished veterans like William N. Robson and Norman Macdonnell oversaw the production and direction, and exceptional scripts were provided by the likes of Les Crutchfield, John Dunkel, Gil Doud, E. Jack Neumann, and Kathleen Hite. Week in and week out, Escape demonstrated that it was truly an outstanding and memorable show...even if it was lacking that "Hollywood gloss" that attracted big-money sponsorship.